The Rebel Sweetheart. 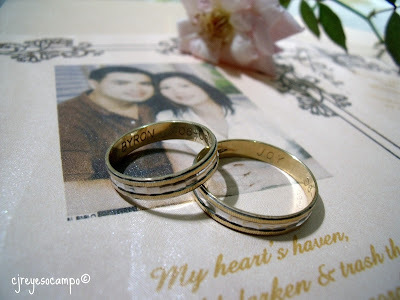 : To Have and to Hold | Top Wedding Photography Trends of 2013. To Have and to Hold | Top Wedding Photography Trends of 2013. 'Twas one of those days when I miss the husband immensely and as I flipped through our wedding album, it made me realize how different wedding pictures looked like five years ago. (Yes, we're celebrating our fifth anniversary this June.) Not surprising since wedding trends move really fast; and portraits missisauga are no exception. Bright, natural colors are one of the hottest wedding photography missisauga trends these days. Super saturated photos are ideal for pre-nuptial and engagement photos as they make colors pop, and add a whimsical feel to the images. Washed out photos reminiscent of the Casablanca era are all the rage right now. If nostalgia is right up your alley and suits your style, then vintage edits are the way to go. Bokeh is one of my personal favorites. In Nihonggo, the word means “blurred” or “hazy” and in terms of photography, it means part of the image is aesthetically blurred such that objects in focus stand out beautifully. Now remember, whatever trend you follow or whatever style you choose, your wedding photos should focus primarily on you, your spouse, and the emotions of this momentous occasion. Take your time and have fun with putting your own personal touch on these trends to make your wedding photos truly unique. I think the hazy effects looks cool for wedding photographs. It adds an element of fantasy in the photos. You are a very lovely couple.